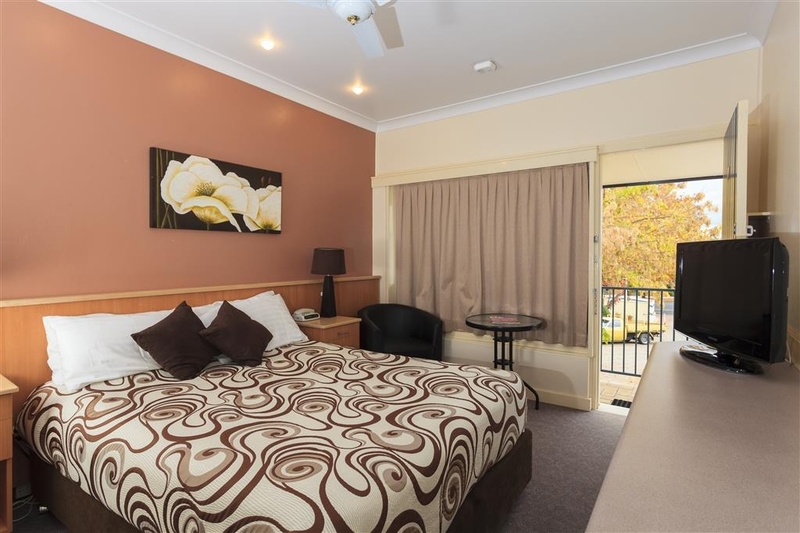 The Best Western Motel Farrington is ideally located in the center of Tumut. Come and experience our hotel near the major tourist attractions. Best price guaranteed and exclusive deals. 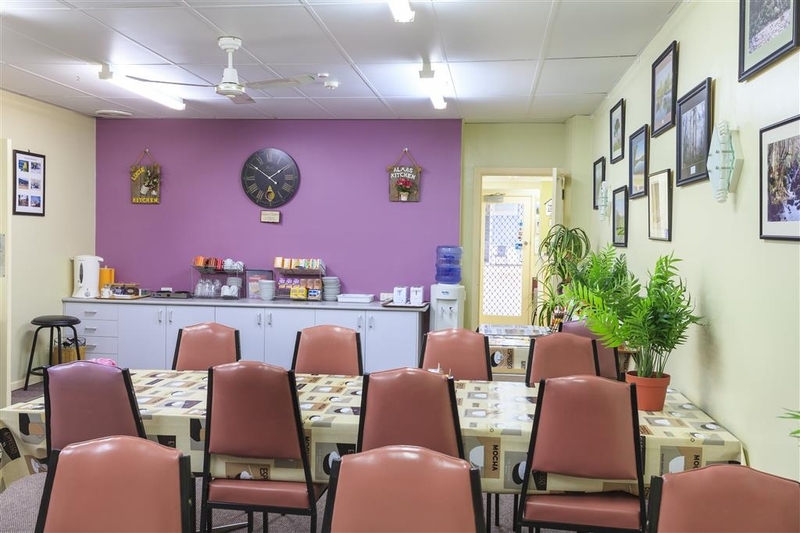 Stay at this charming and affordable Tumut motel, located a short drive from the Snowy Mountains Power Station, Yarrangobilly Caves and Kosciusko National Park. The Best Western® Motel Farrington offers 3. 5-star accommodation in Tumut. All rooms feature free Broadband Internet access and satellite Television. 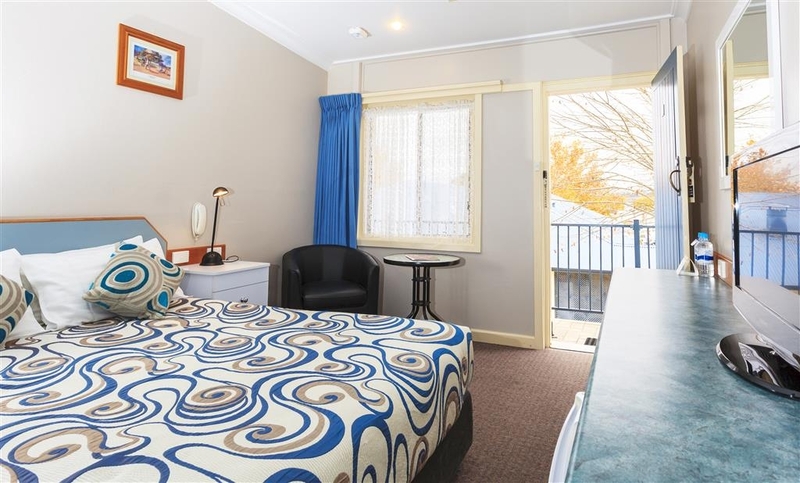 Other facilities at this Tumut motel include family suites, a solar-heated swimming pool and fantastic country breakfasts. Guests staying at the Best Western® Motel Farrington will be close to a variety of local activities, such as bushwalking, fishing, golf and tennis. 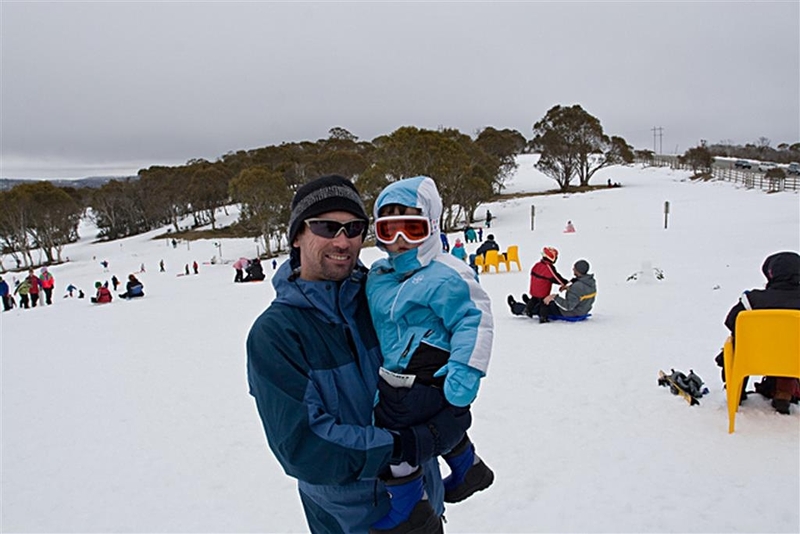 Winter sports enthusiasts will be an easy 40 minutes away from the "winter playground" of the Selwyn Snowfields. For friendly customer service and an ideal location in Tumut, make a reservation at the Best Western® Motel Farrington today and save! Enjoy your stay. "Good motel with an old-fashioned vibe." The BW Farrington Hotel in many respects a typical, old fashioned country motel. 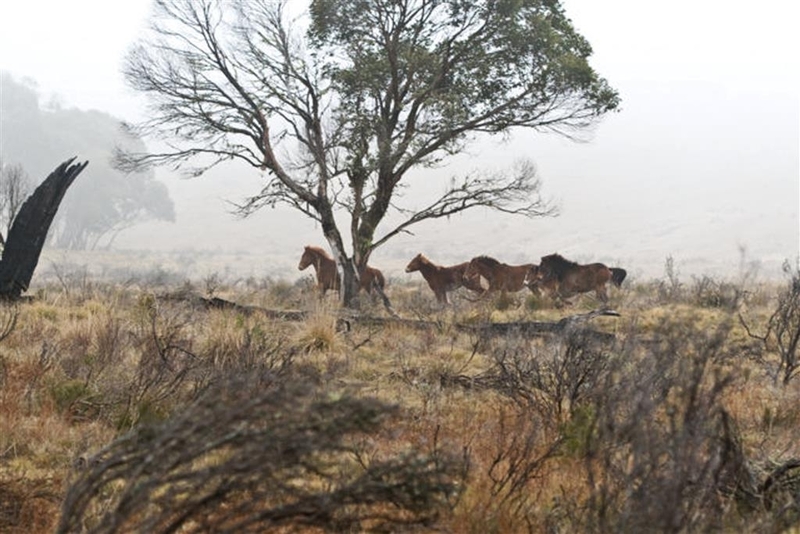 The property is conveniently located less than block from the main street of Tumut. 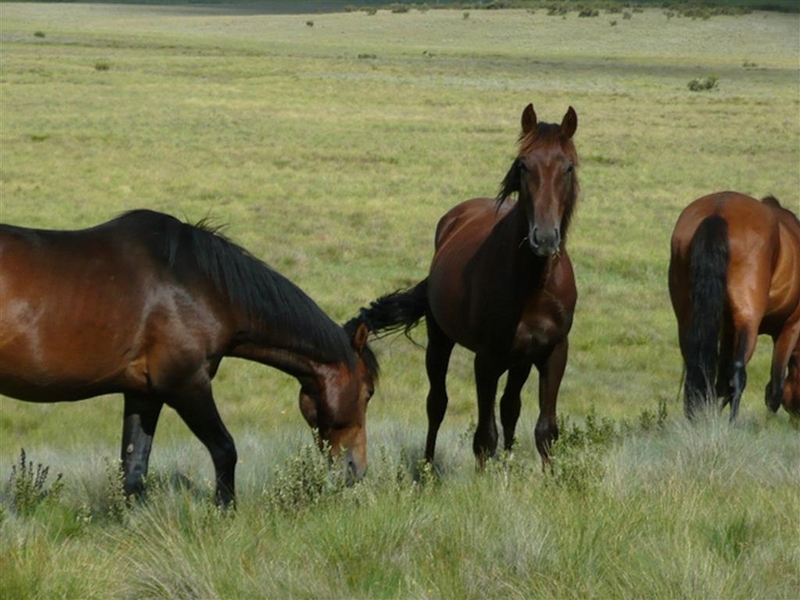 You are assured of a friendly welcome on arrival and it very much has a family run vibe. The rooms are quite small, but they are clean and comfortable and the bathrooms look like they have been recently renovated. Whilst the property is relatively old, it has been well maintained. The other guests mostly appeared to be staying there on business, so it's probably a good indication that the Farrington is a good value, comfortable proposition for a night in Tumut. "Weekend Getaway in beautiful Tumut"
My wife and I decided to do a small weekend overnight stay in Tumut. The hotel room was best, clean and had a comfortable bed. The shower was fantastic and well presented. The motel was also very near the main street and eateries. Well worth an overnight stay with a very reasonable price. 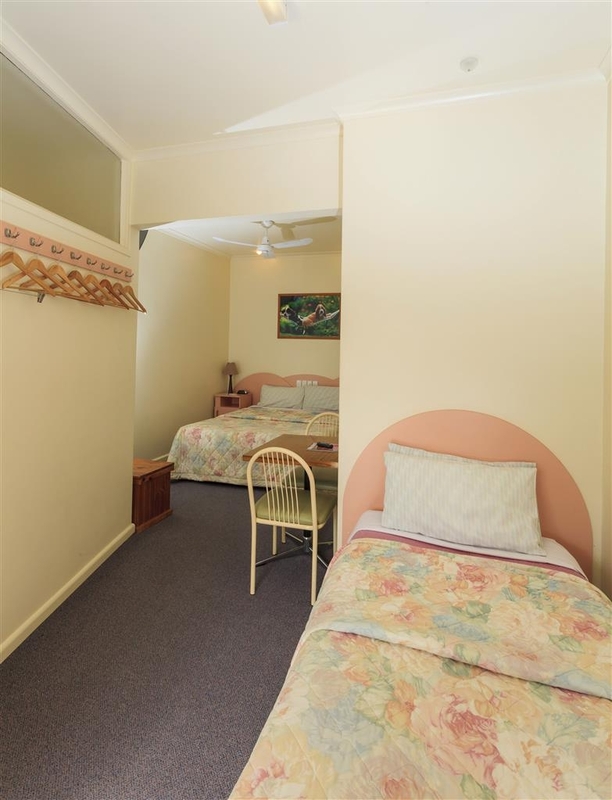 "Nice, comfortable no frills stay in a friendly family-run motel"
My second stay here for business in Tumut. Gale and Graham run a great motel here. I'd forgotten some essentials and Gale was kind enough to organise a personal care pack for me free of charge. Motel is close enough to walk to supermarket, as well as dining options. In the morning, Graham cooks a mean bacon and eggs and sausages for you and always loves a chat. It's got a family atmosphere, feels like you're staying at your grand parents place which is a very good feeling when you're a long way away from home and missing your actual family. A very pleasant night. The rooms appear to have been recently renovated, in particular the bathrooms. Very comfortable and friendly helpful people. A short walk to everything Tumut has to offer, which is a really nice town. First place to look up if/when we are back in Tumut. We visited the Farrington wth a tour group, and stayed for 5 nights enjoying day trips to the surrounding area. Graham and Gail were excellent hosts, really looking after us with a smile. Breakfasts were enjoyable, with Graham serving the hot dishes. Our room was comfortable and the bathroom had obviously been recently renovated. There was reverse cycle air-conditioning, electric blankets and a ceiling fan, and our tea/coffee tray was topped up every day with us asking. The motel is just around the corner from the main shopping centre, so we could easily explore on foot. This is an ideal place to stay in Tumut and highly recommended to fellow travellers visiting this lovely town. Stayed for 2 weeks on a business trip and I keep coming back here because it's the best place I've found in Tumut. My rooms here have always been very clean with comfortable beds, air conditioning, heating and electric blankets for winter, clean and modern bathrooms, and free wireless broadband. There's an on-site laundry where you can do your own, or they will do it all for you (that's an extra charge of course). 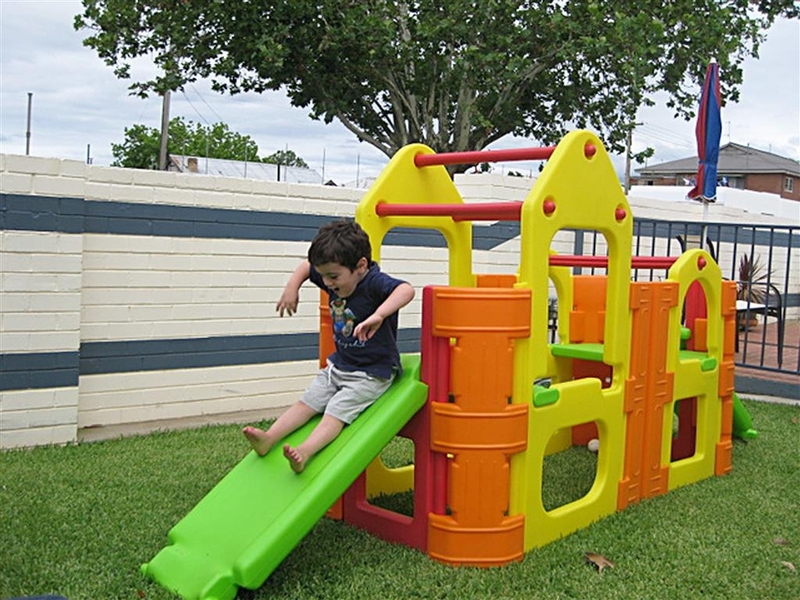 They have an excellent, safe swimming pool with nice and sheltered patio and BBQ areas, and a safe kids play area. It is also in a very convenient location within easy walking distance of the town centre, any of the town's pubs, restaurants, fast food outlets, and 2 supermarkets. And then there's the breakfasts - all you can eat hot or cold buffet, or continental style every morning with plenty of choice for all tastes. But the best part about staying here is the owners - they are genuinely friendly and straight-up good, hard-working people who'll give you a warm welcome if you're new, and treat you like family if you've stayed before. They love having a chat and actually get to know their guests by asking questions and having proper conversations with them, and they go out of their way to help with anything they can to make your stay hassle-free. This is my first choice when I visit Tumut, and it really is my home away from home when I'm here. "Good motel with great staff"
Stayed only one night as we passed through. The owners were great people. The motel is fairly central to mot things in Tumut. The buffet breakfast was a stand-out with the owners doing all in their power to make the stay great. This is not a five star motel but the staff definitely are. It is a basic country motel which is clean with comfortable bedding and adequate heating. Being winter, we really appreciated the electric blankets. The room itself, and the bathroom, are both quite small. However, we weren't there to stay in the room so it was fine for our needs. There were extra blankets if needed and there were tea and coffee making facilities. 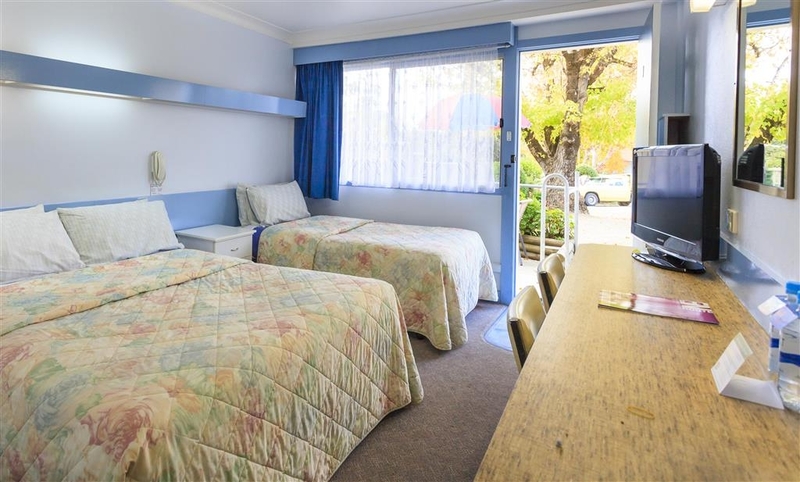 The Motel is across the road from a fast food outlet and within walking distance to the Town where there are numerous pubs and restaurants to eat at. Tumut is about a 90 min drive from the Mt. Selwyn snowfields and a visit can be had along the way to the Yarrangobilly Caves. All in all, I would recommend staying at this motel where you will be given five star treatment. "Great service and tidy rooms"
"Short stay - 1 night "
Friendly staff and very clean, spacious rooms/parking. We didn't arrive until after 10pm and everything was made very easy for us. Very reasonably priced. A personal touch, very happy we chose the best western! Would defiantly stay here again..
We stayed here on an overnight work trip , this was booked and paid for by a travel company. A kind lady named Gail threw in brekky . The room was very small but very clean , warm and tidy. The beds had electric blankets and plenty of extra pillows and blankets. A nice selection of complementary, tea coffee , biscuits and soup in room. There were no introductions on arrival but a lovely older gentleman did our checkin, this same person hosted breakfast and maybe even cooked it. The poached eggs were done perfect with bacon, sausages and tomato. Lots of toast cereal fruit , yoghurt and juice. Although situated on the main road the traffic noise was nil. Wifi was reliable and didn't drop out once. The tv in the room was situated extremely high on the ceiling was the only downside but not a big issue at all.Would definitely stay here again. The staff were very friendly. The flexibility was excellent. We needed to leave early morning before breakfast but that was not a problem. They wake up and the breakfast was good ad usually. Also the Internet connection is free and fast. "An older style motel, under the Best Western logo"
Whilst the outer grounds are clean and inviting, the room itself immediately showed its age. We guess it was built in the 1970s or '80s when brown tiles and golden glass were de rigour for bathrooms. The room was fitted with a double and a single bed. Overall, it was a comfortable stay but we wished for a little more room (might try the suites next time). 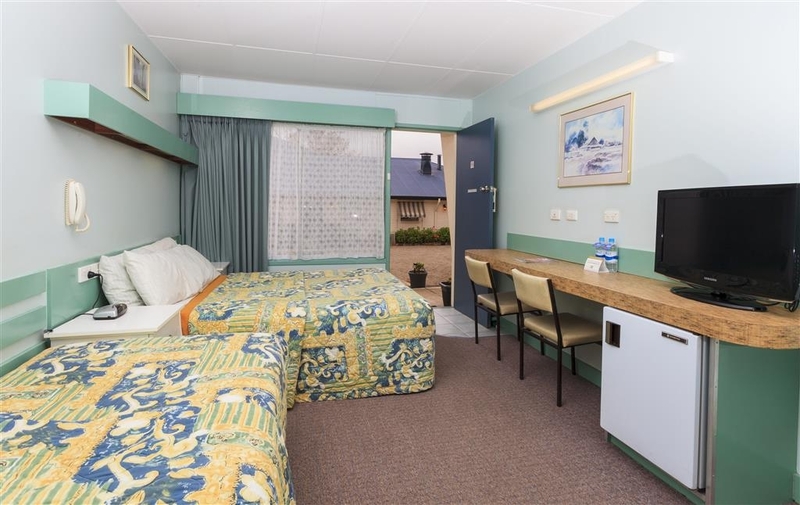 The bedding and towels are the usual high standard Best Western livery, the rest of the room is standard motel. We did like the close proximity to the main street for dinner, just walking around to the Chinese restaurant and the Reception staff were wonderfully friendly. Thank you for taking the time to comment on your recent stay at the Motel Farrington. I know, I know, I know - we have been working our way through all the units at the Farrington and "unfortunately" as we were very full, you were in one of the last few bathrooms to be upgraded! We are working on 100% done by mid-year so please, if you are back in Tumut we would love you to see the again to see the continuing upgrade program! (especially on those last 3 bathrooms!!!) As the Easter weather was so glorious, I hope that you were able to experience a little of our wonderful region. "Excellent would recommend it to anyone"
Thank you so much for your positive comments on your recent stay at the Motel Farrington in Tumut. It is nice to have "breaky and a chat" in the mornings with our many returning guests. The Tumut region is just such a great area for return visits. Thank you for your positive comments on your recent visit to the Motel Farrington. We try hard to make our Motel perfect (well pretty good anyway!!) for all our guests (new as well as the regular ones). Our upgrading program will be continuing in 2017 to keep our units up the standards that our guests expect - just a few to go!!!! "Great stay - thank you!!" I want to thank Gail and Graham for such a great stay. They are so genuinely warm and friendly; something that you don't get everywhere. The first thing I noticed was how emaculately clean everything was,everything neat as a pin and everthing I needed and lots more. I had a really sore back on the night of our stay, so I really appreciated the super comfy bed and the electric blanket, not forgetting to mention the awesome shower! Fantastic wholesome country breakfast. I'm not sure when we'll be back in this area, but when we are I look forward to staying at the Best Western Motel Farrington. "Thank you Graham and Gail"
We stayed 2 nights and found our room to be warm and inviting. We had extra blankets and electric on the beds. Bathroom was clean and functional. We had 2 bedrooms with 3 t.v's in total. All with foxtel. Staff were all friendly and helpful. "Basic, but fine for a one night stopover"
Booked this at the last minute while travelling back to Sydney from Melbourne. Due to recent flooding most hotels were fully booked. Our motel room was old and tired looking, and pretty basic. Bunk beds were showing their age, as the mattresses sagged down when you lay on them. $3 500ml bottles of water in room - no thanks! Coles just around the corner. Bathroom was small but functional. Shower had good water pressure and warmed up quickly enough. WiFi was free and was quite fast too, which was impressive. I was able to stream HD video on YouTube without any issues which is something not a lot of hotel/motel networks would be capable of - so full marks for the wifi! The lady at reception, Gail, was friendly but a bit disorganised, as it took her a while to locate our booking - apparently the Best Western systems don't update the systems or print out new bookings as they should be doing. We paid $130 for a 3 bed room, at a room only rate (double bed plus bunk bed) - not great value for money really, but okay for the one night. Breakfast was chargeable at $12 for continental or $18 for cooked which we passed on. Advertised swimming pool was unfortunately "closed for winter" despite it being spring. Wouldn't have minded a morning swim as the weather was getting warmer in the morning! Basic, but fine for one night. At $130, it doesn't offer good value for money though. "If I inpected before booking & paying I wouldn't have stayed there"
I rarely rate things so low and judging by the positive reviews I am thinking the room we got is not the normal room standard. I have only read one other review the resounds my sentiments but apart from that everyone else seems happy so maybe check the room before you pay. This was a ground floor room near the laundry/reception. The room we stayed in was old and tired, no updates in many years. There was nowhere to sit, not even a table. No really a place to leave toiletries or other items in the smallest bathroom imaginable. Shower curtains are nasty. Although it was clean (for its age and condition - there was mould in the bathroom grout but it was probably grouted 30 years ago), it was dusty and had that over the top carpet cleaner smell, my asthma kicked in straight away and my son came out in a rash. I was a sales rep for many years and know budget hotels well, but this was bad compared to any of them, especially for the price we paid which I though was above the standard rates for a budget motel. Our stay here was an overnighter, basically looking for somewhere halfway from Syd-Melbourne which we do regularly, but used to drive the whole way (before the baby arrived). I will not stay again and will continue the search for somewhere near the halfway mark that is cheap but comfortable. 1st time staying at this great family run hotel and was surprised with the quality of accomadation. The rooms were a great size with the bathroom being freshly renovated with a extra large shower which is a pleasant surprise for a country hotel. Throw in great hosts and a fantastic hot breakfast and this place is perfect for a business stopover. Will defiantly make this my preferred hotel in Tumut. "Friendly Motel in a lovely country town." I was here for work, so this place was well located and suited my purpose. Friendly staff (Gail) made me feel welcome. Clean, tidy, comfortable room. I'd stay here again and like to explore the beautiful surroundings. Not flashy, but definitely homely. This Motel has everything you'd expect for a few nights away. "Friendly and accommodating - the proprietors were fantastic"
My husband and I stayed here for four nights, after our previous accommodation fell through due to accessibility issues (my husband uses a wheelchair). They were able to fit us in straight away, and they gave us a lovely self-contained, accessible two bedroom unit for the price of a motel room. The motel is run by Gail and Graham, two of the friendliest people we have ever met. Nothing was too much trouble. They also have twenty four hour check - in, and lovely buffet breakfasts every morning. We recommend this place very highly. A clean and quiet motel, nothing flash but close to Main Street. Comfortable bed and nice light bathroom. Simple but adequate breakfast. ( loud Tv in breakfast room which may suit most people but I prefer quiet time at breakfeast). Very pleasant staff. "Hotel taken over by women motorbike riders"
We are a group of 30 women who ride motorbikes, Our ride leaders booked Motel Farrington in Tumut for 3 nights with breakfast. The managers were wonderful- they supplied cereal, fruit, juice, tea/coffee as well as cooked bacon, sausages, eggs, baked beans, tomato for us. We used the pool each day after exploring the fun roads around the alpine area and made lots of chatting noise. It was a great weekend and the hotel was a major part of contributing to it. Coles supermarket was nearby as was Target department store. We walked to the restaurants for dinner, which were also in walking distance. Oriental Hotel and Royal Hotel both had reasonable meals but the Royal Hotel was the better of the two. So..views are not amazing, (unless you enjoy the backyard of the house next door) but the place was tidy, quiet and comfortable. I don't ask much more to a motel. It's located in a street close enough to go walking everywhere, although I suspect in Tumut you can actually go walking almost everywhere. It was not in the main street and there was zero traffic during the night though. There is a kfc in front and that's the only source of noise I could find. So it depends, as usual, on how many beers the chicken eaters take. The staff was friendly, and we didn't expect it but they do the rooms everyday. There's only two things that I couldn't figure out though... 1- There is no kitchen/ette other than a fridge. Not even a teapot. Sort of hard to prepare those tea/coffee bags without them. I wouldn't really call it 'food preparation', which is forbidden. (It's the first time we find a motel without that and/or a microwave. If you have kids you better take this in mind) 2- They offer small bottles of water, at 3aud each, which they leave over the counter like saying 'water!' perhaps expecting you to think it's courtesy. The motel is like 2minutes far from Coles though, so do not suffer you wateraholics. But it sounds like an old style trick, so XXth century.. It has free wifi, parking, and bbq and a tiny outdoors pool. There is also some kind of laundry service, I think. "Clean & Tidy with helpful staff"
My husband & I stayed overnight after traveling to Tumut for a wedding. We found the staff were pleasant and helpful in accommodating our two vehicles. Our upstairs room was neat and tidy and all we needed for a pleasant overnight stay. We also had a lovely cooked breakfast before heading off. If needing accommodation in Tumut again we would stay here. Motel reception staff were very helpful and the rooms are clean and comfortable. Motel is only a short walk from the main street with restruants - pubs and good shops . the Tumut area is a good place to stay. On an overnight stay in Tumut we booked in to this motel after reading other Tripadviser reviews. I am sorry to review this motel very negatively. On arrival we enquired about room availability, preferably on the ground floor as we are not as agile as we would like to be and carrying luggage up stairs is out of the question. We were advised that there was only one room on the ground floor available. We agreed to book this room, however, on reflection we should have inspected it before paying up front for the accommodation. This room was extremely small, bathroom so small we nearly had to back in in order to be able to walk out. So small that it was impossible to dry yourself after showering! This had to be done in a small kitchen type room. The bedroom, which was also very small, had a double bed pushed up against the wall to allow for bunk beds to squeeze into what space was left. We had to push the bed away from the wall as much as we could to eliminate the need to climb over each other to get out of bed. The only way to watch TV was to sit or lie on the bed and if you wanted to eat/drink you had to do the same. No chairs or table anywhere to be seen. I'm hopeful that other rooms in this establishment are a lot better than the one we experienced, however, having said that we will definitely not stay at this motel again and we will recommend to our other wandering grey nomad friends not to stay there either! We are very sorry that your visit to the Best Western Motel Farrington in Tumut was not up to your expectations. Unfortunately (as explained) on your arrival, the only downstairs accommodation available was a standard family studio unit. I understand your frustration in our accommodation, as that this family unit is definitely more suitable for a small family wanting to all sleep in the same bedroom then yourselves. The separate kitchen area (with eating facilities and microwave oven) is popular with these families. Apparently my staff must have not moved the Queen bed back to the correct sleeping position so I am sorry for the inconvenience caused. 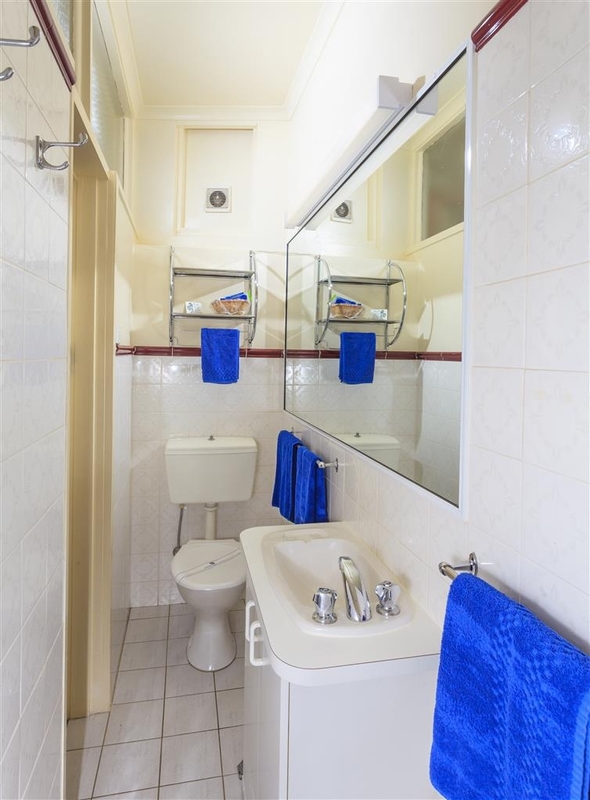 Graham & Gail Wilesmith Best Western Motel Farrington Yes - we do have a variety of different types of accommodation available for our different guests (ranging from recently renovated Deluxe Queen Units, single or twin studio units, 2 bedroom suite and wheelchair friendly accommodation. 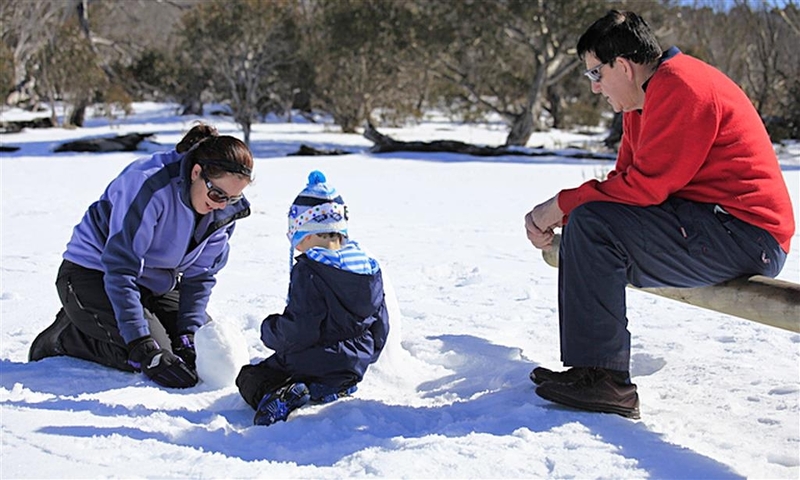 I hope that sometime in the future, if you are travelling in the Snowy Mountains area, you may call back in and we can offer more suitable accommodation. Wow from the moment we met Graham and Gail they treated us like long lost family. They told us the places to see around town and also gave us directions to Mt Selwyn Ski fields as well as where to hire ski gear. The rooms were large clean and very comfortable. Breakfast was a delight with a very good selection of cereals as well as a nice hot cooked meal. I have no hesitation in recommending this hotel to anyone who is visiting the Tumut area. Thank you Graham and Gail for making us feel so welcome in your beautiful part of the country.